Since September I have been exploring Bexhill on Sea through the eyes of others who live there. 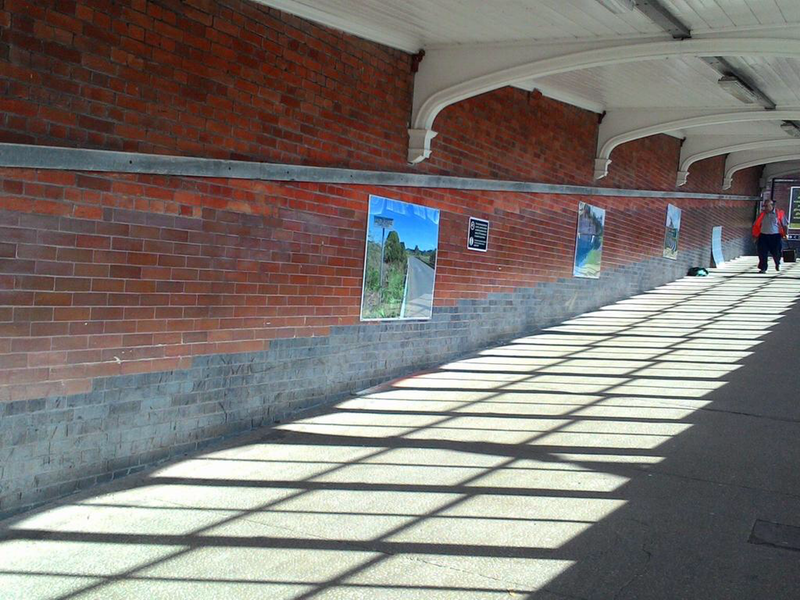 Last week a new exhibition was installed at Bexhill train station. 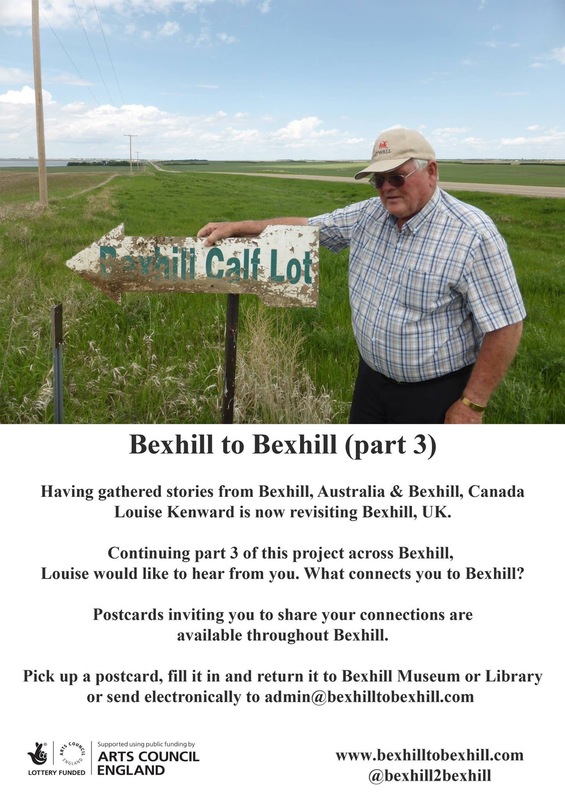 Following the first display of images from Bexhill, Canada and Bexhill, Australia, I’m exhibiting photographs of some of the wonderful people I’ve been meeting and talking to about what connects them with Bexhill, East Sussex. 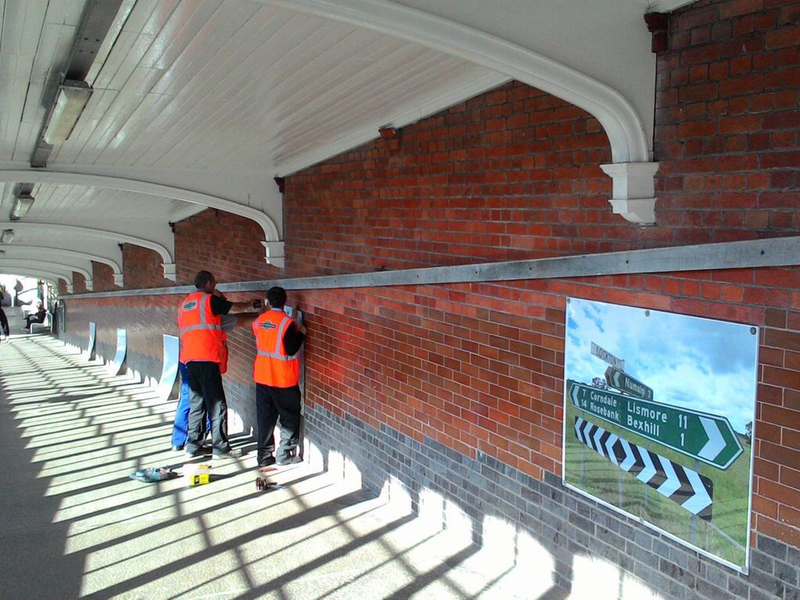 Many thanks to Community Rail Partnership and Dave and Ron as well as Arts Council England for continuing support. This entry was posted in train travel on April 2, 2016 by Louise Kenward. This entry was posted in train travel on December 1, 2015 by Louise Kenward. 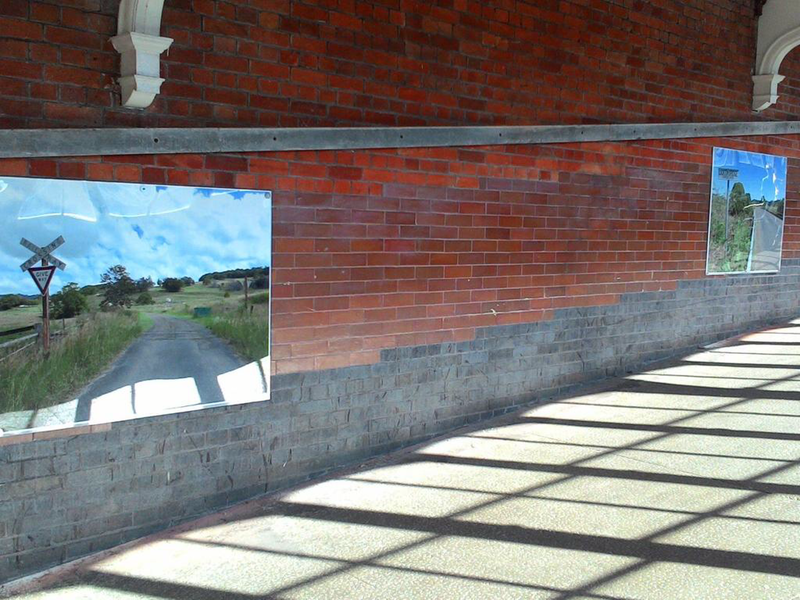 Two years ago I left Bexhill by train for a journey linking places called Bexhill. 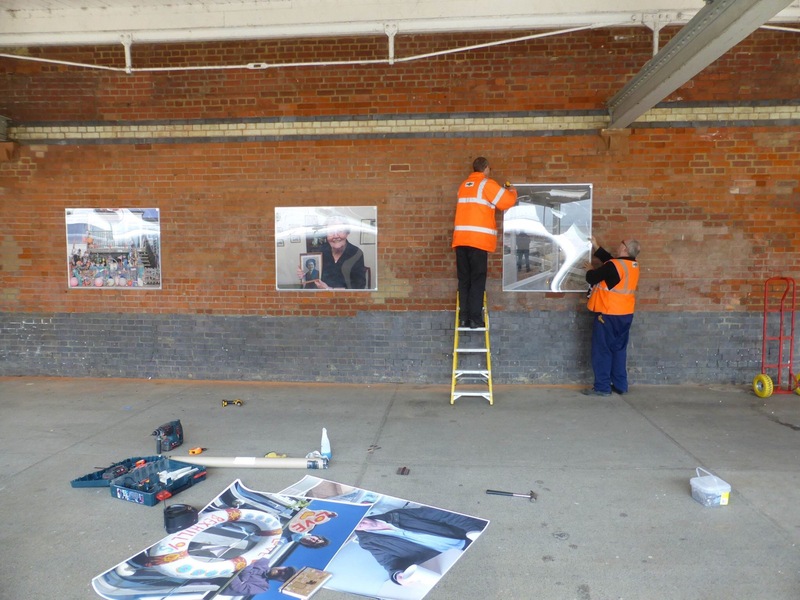 This week I returned to the Railway Station with a little bit of Bexhill, New South Wales and Bexhill, Saskatchewan. 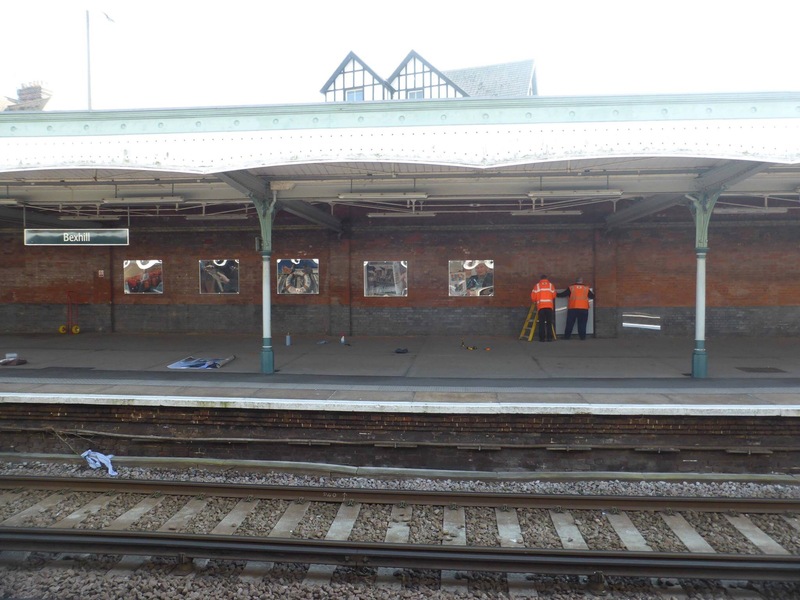 They are now installed along the walkways to either platform. Australia to the North and Canada to the South. Photographs will be up until the end of the year. 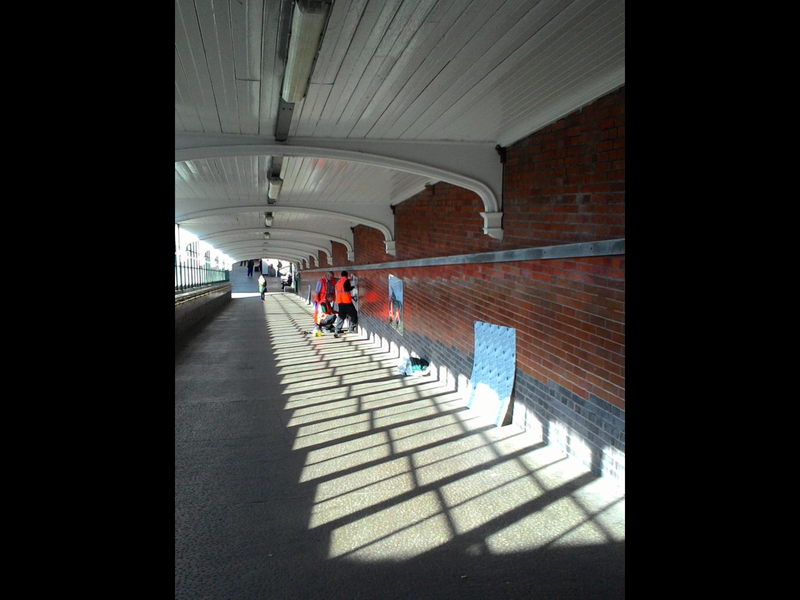 With thanks to Kevin Barry (Community Rail Partnership) and the fabulous team that is Dave, Jason and Ron for installing it all for me. 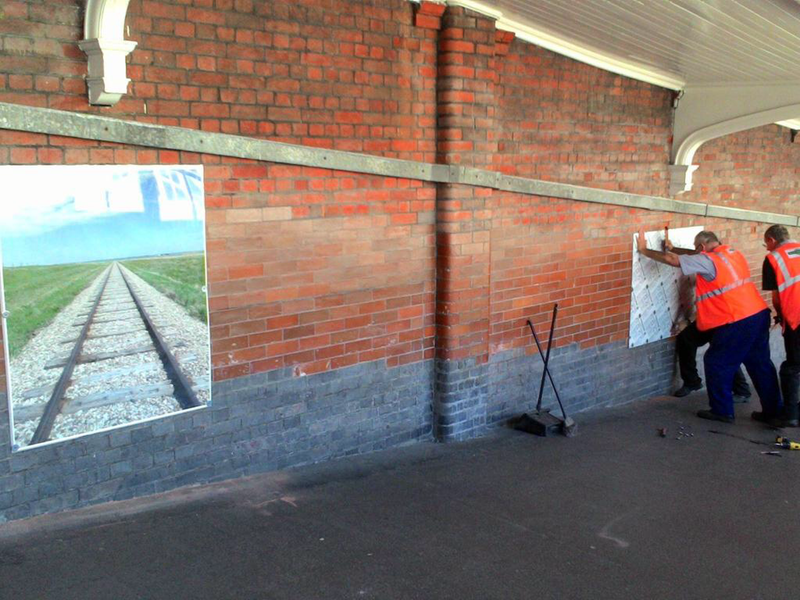 This entry was posted in train travel on October 4, 2015 by Louise Kenward. Last week brought the start to the third part of this journey, revisiting Bexhill, UK. I want to be able to see this familiar town with new eyes, to notice the familiar in unfamiliar ways. 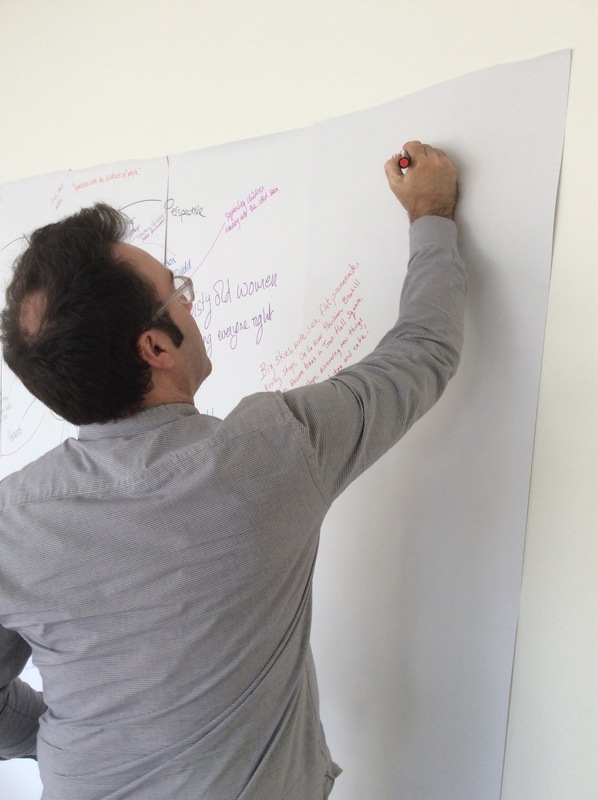 This part of the project started with a week at the studio of the De La Warr Pavilion. 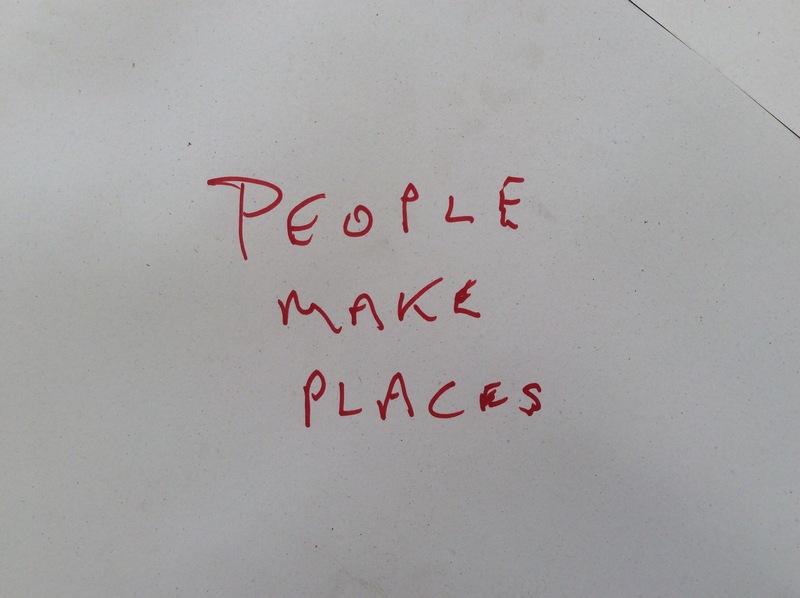 I invited people in to share their own stories, memories and connections with Bexhill, as well as beginnging to explore what makes place and what connects us to where we live. 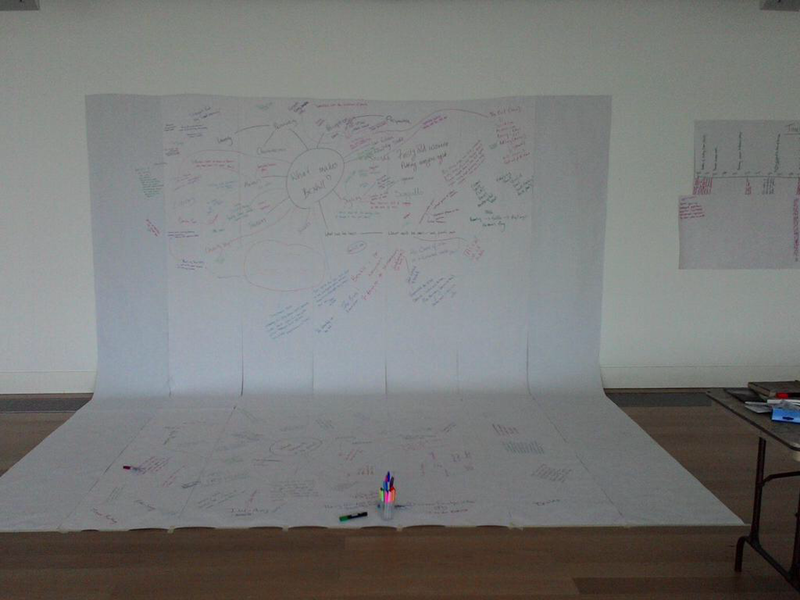 Part of my day would be spent revisiting the research collected in Bexhill, Australia and Canada, and part in conversations with visitors, who tended to stay a while, chewing over what it is about Bexhill that makes it Bexhill, regailing their own stories of the town, weddings, births, schools, families, friends, work and play. It has been a priviladge to be party to many of these dialogues. 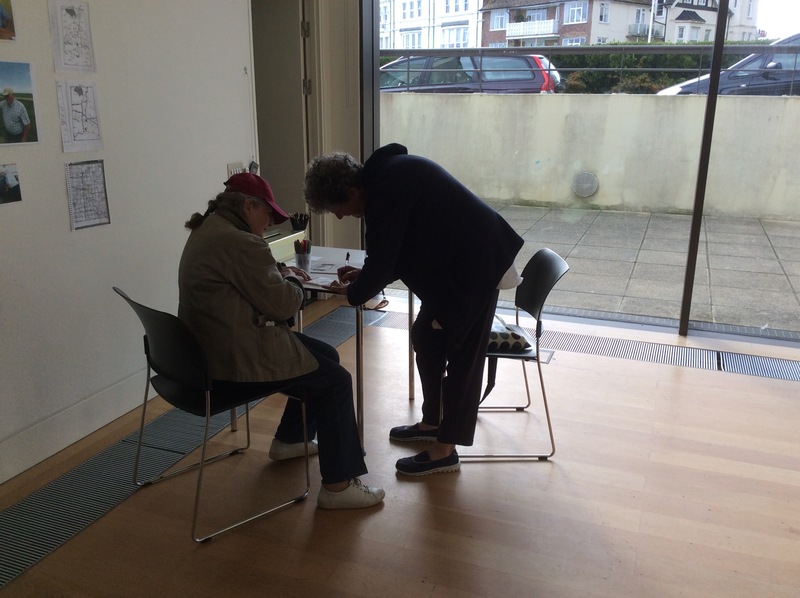 Two ladies exchanging contact details, discovering they’d been to the same school in Bexhill. Events will continue throughout the town until the end of the year. 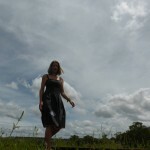 This entry was posted in train travel on September 15, 2015 by Louise Kenward. 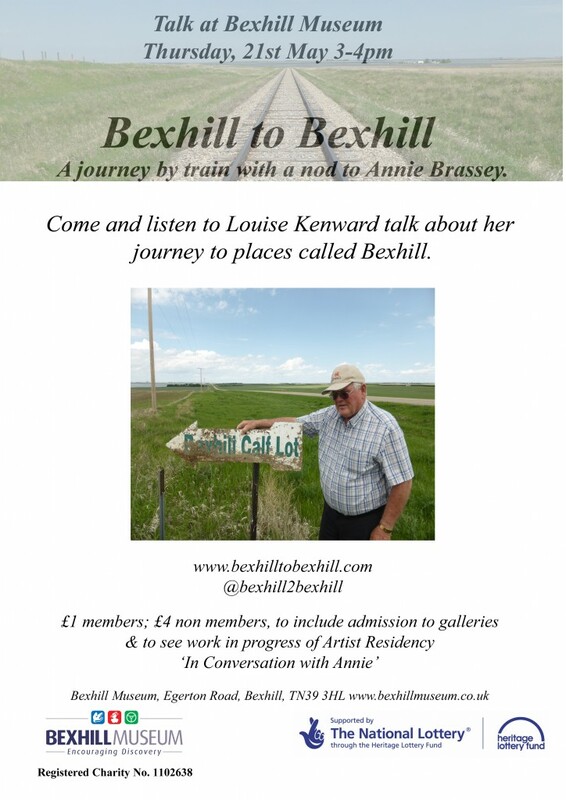 All welcome to Bexhill Museum’s talk next Thursday, 21st May. From 3-4pm I will be sharing photographs and stories of my journey to places called Bexhill, stopping in at a couple along the way. 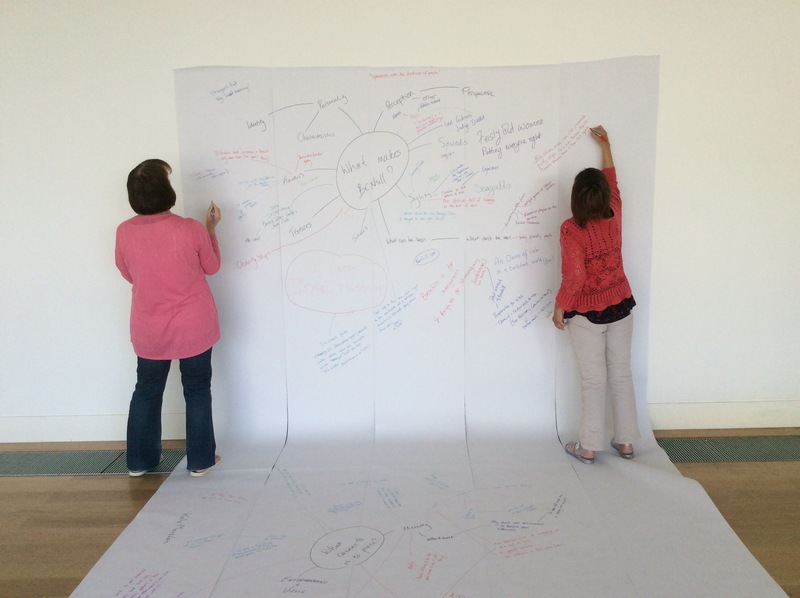 Admission will also include a chance to look at the work in progress of In Conversation with Annie, a Heritage Lottery Funded Residency developing a dialogue with heritage and connecting mine and Annie’s journeys. Several other lovely exhibitions currently running at Bexhill Museum are also open to visitors: Something Old Something New; Bexhill & Abroad; & The Kings German Legion in Bexhill. Open from 10-5 Tuesday to Friday and 11-5 Saturday, Sunday and Mondays. For more details about how to get there click here. 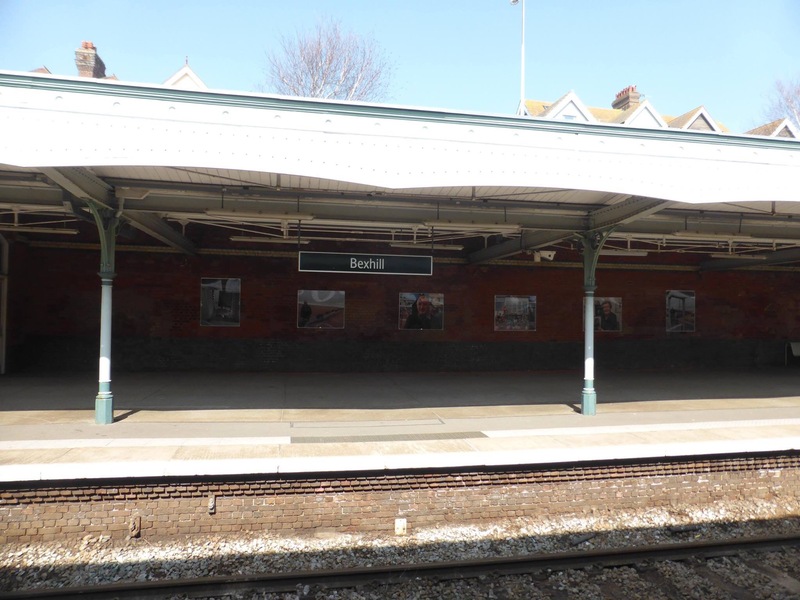 This entry was posted in Bexhill, In conversation with Annie, train travel and tagged Bexhill, Bexhill Museum, talk, train travel on May 16, 2015 by Louise Kenward.